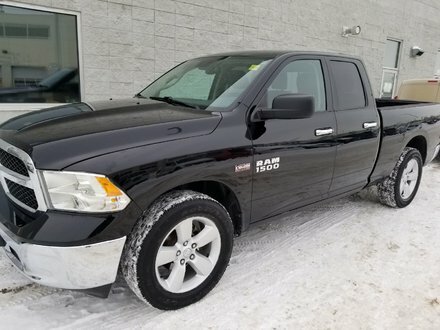 This 2014 RAM 1500 QuadCab 4x4 OUTDOORSMAN has HEMI power, a/c, auto, all the power options, 20" alloy RIMS and so much more! Already had a detailed mechanical inspection and shows very well! 5.7 L V-8 HEMI - V8 cyl.